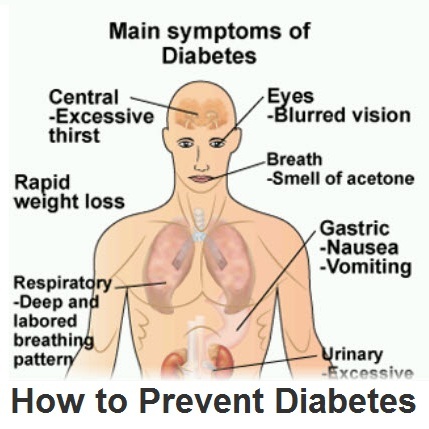 Diabetes, also known as diabetes mellitus has been a common health problem. About 70% of the people have been concerning with this disease. Diabetes is of two types, type 1 diabetes in which the patient’s body is not be able to produce insulin and type 2 diabetes in which the insulin which is literally produced in the body does not function properly or the body is not producing enough amount of insulin that is required by the patient. There are some kinds of signs and symptoms due to which a person can recognize whether he is going through diabetic problem such fatigue, weight loss, increase in thirst, frequent urination, cut and bruises which heal very slowly and difficulty in sighting. Sugar is another name given to the diabetes. 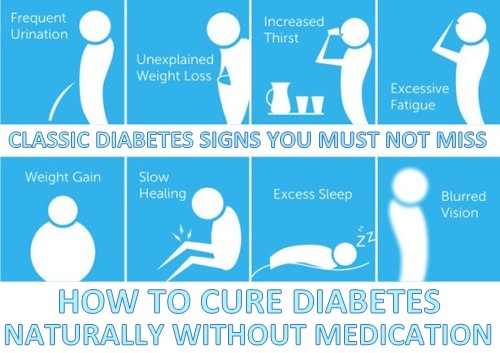 Well, there is not a proper cure and treatment for this disease but if you try to control your blood sugar level then you can live a good and normal life. 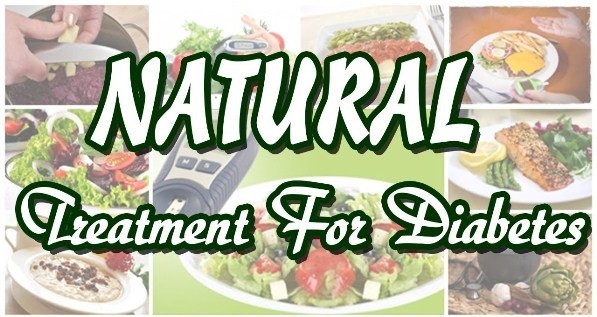 According to the research, there have been thousands of herbs and ingredients that are commonly used in our daily life can be the easiest way to treat with diabetes naturally. Make sure while doing home remedies, you should also consult with the doctor and ask him for your proper diagnose and treatment of sugar. Bitter gourd is also known as bitter melon, which is easily available in the market and it is extremely helpful in order to keep your blood sugar level controlled as it helps in reducing the blood glucose. The function of bitter gourd is to increase the glucose metabolism not only in specific organ but all over the body. Bitter gourd has advantages for both type 1 and type 2 diabetes mellitus because it is also involved in the pancreatic secretion due to which it helps insulin resistance. Every morning, drink a glass of bitter gourd juice on an empty stomach. Remember to remove the seeds and also add little amount of water in the juice. Follow this remedy for at least two months. If you do not like its juice then daily cook a dish made up of bitter gourd. Powdered cinnamon is more effective than the cinnamon sticks. It has resistance against high blood sugar levels as it helps in stimulating the activity of insulin. Cinnamon contains some important bioactive mechanisms due to which it enables the patients to fight against diabetes mellitus. There is a risk of taking higher amount of cinnamon that we daily use in our diets such as Cassia cinnamon which is available in grocery stores. Intensive use of cinnamon can cause liver damage because it contains a toxic substance called coumarin. Another type of cinnamon is Ceylon cinnamon, also known as true cinnamon which is also effective for the body health but the research is not yet assured that it is either helpful in controlling the blood sugar level. Take a cup of warm water and mix one-half tsp of cinnamon powder in it. Another thing you can do is fill a pan with one cup of water and add some cinnamon sticks in it then boil it for at least 20 minutes. Drink this water daily. Make a habit of adding the cinnamon to your daily diet, smoothies and bakery items. Fenugreek is present in everyone’s home and it is an excellent herb which is used to control diabetes. Fenugreek contains hypoglycaemic activity that is the reason it improves the blood glucose levels easily. On the other hand, fenugreek is rich in fiber so it also acts to slow down the absorptions of carbohydrates and sugars. Take 2 tbsp of fenugreek seeds and soak then in water for all the night. Drink the water after straining the seeds inside them in the morning on an empty stomach. 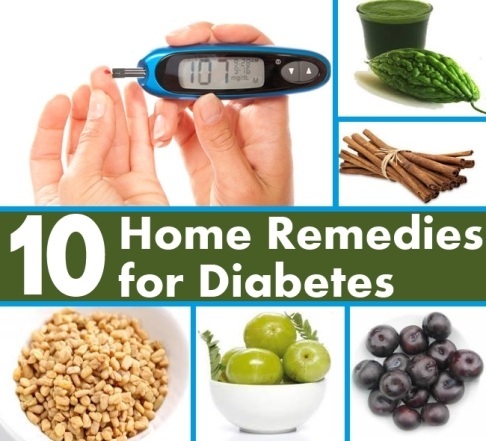 Follow this remedy daily for a few months to lower your blood glucose level. Another option of taking powdered fenugreek seeds with a glass of milk daily. Indian gooseberry is another herb which is very effective because it has higher amounts of vitamin C and its juice stimulates the working of pancreas. Take at least three Indian gooseberries, remove their seeds and grind them until they become like a fine paste. Put the paste into a cotton cloth then squeeze out the juice from it. Now take a cup of warm water and mix two tbsp. of the juice in it. Drink this solution daily on an empty stomach. Take a cup of bitter gourd juice and mix one tbsp. of Indian gooseberry juice then drink it daily. Do this remedy for a few months until you see improvement. Black plum or jambul is commonly called as "jamun" which is an amazing fruit that helps in controlling the blood sugar level as it possess anthocyanins, ellagic acid, hydrolysable tannins. Jambul is effective in any way because the leaves berry and seeds of plum are very good for the diabetic patients. According to the research, it has been condemned that its fruits and seeds contains hypoglycemic activity due to which they help in lowering the blood and urine sugar quickly. There are certain types of chemicals present in the seeds of jamun like glycoside jamboline and alkaloid jambosine which are amazing for controlling the blood sugar levels in a rapid way. You should remember one thing to regulate your blood sugar level in a normal ways that try to add the seasonal fruits available in the market in your diet because it can be very beneficial for the pancreas. Another easy work you can do is powdered some of the seeds of jambul fruit and eat this powder with a glass of water twice a day. Black plum is naturally produced in India and its neighboring places but it can be easily available to you in Asian markets and herbal shops. Mango leaves are tiny and delicate but very useful for the diabetic patients as it helps in regulating the insulin levels in the blood and promote the blood lipid shapes. Take at least 15 mango leaves and soak them for overnight in a glass of water. In morning, strain the water and drink this liquid on an empty stomach. You can also keep the leaves for drying themselves in the sun shade then grind them in the form of powder. Eat one-half tsp of powdered mango leaves two times daily. Curry leaves are another herbs that not only smells beautiful but also they contains some useful properties due to which you can take a huge advantage such as it contains anti-diabetic properties so including the curry leaves in your diet will surely help in controlling the blood sugar levels. Curry leaves have an outstanding function that it slows down the rate at which starch is broken down to glucose in diabetes. What you have to do is simply take about 10 to 12 curry leaves and chew them properly daily in the morning on an empty stomach. If you want to see a desire result then make sure you would have to continue this treatment for three to four months. Curry leaves are also beneficial for reducing the obesity. Take one-half tsp of each of ground bay leaves and turmeric and one tbsp. of aloe vera gel then mix them well together. Take two doses of this medicine daily, before lunch and dinner. Guava has rich contents of vitamin C and fiber and it is really beneficial for normal regulation of blood sugar level. Diabetic patients should not eat the skin of fruit so peel off the skin first then eat guava daily. Do not consume too much guava in a day. Okra is commonly called as ladies finger contains certain kinds of components such as polyphenolic that can be helpful in the reduction of blood glucose levels. Scientists have found that okra seed and its powdered peel have antidiabetic and antihyperlipidemic ability. Take some okras and cut their ends. Now take a fork in your hand and prick the seeds in certain places of okras. Soak the okras in a glass of water overnight. Eat the water after filtering on an empty stomach in the morning. Do this remedy daily for at least a month. Also you can include okra in your daily diet. Monitor your blood glucose level on the regular basis. Make a healthy diet plan and do exercise daily. Try to take food enriched with dietary fibers. Daily exposure to sun can also help in controlling the diabetes because in this way your body can gain vitamin D that is important for the production of insulin. Drink plenty of water all over the day. Subtract the sodas and sugary juices with water. Hydrating body helps in breaking down the sugars. Try to take enough sleep, deep breathing, listening to music, and workout to take a relief from stress.